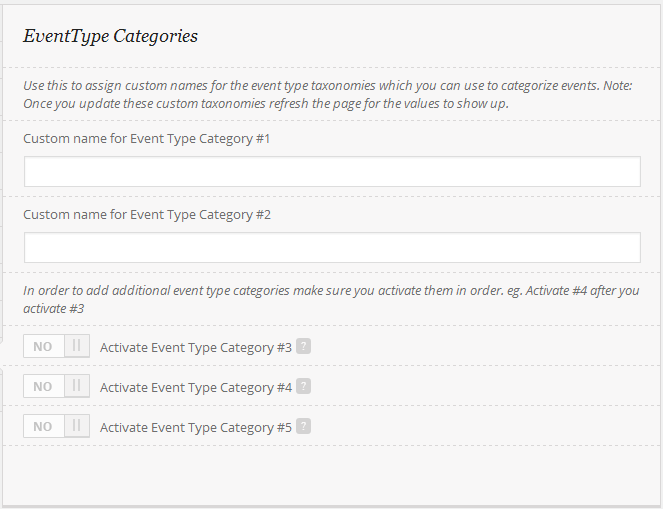 EventON by default provide 2 category types that you can utilize to categorize events with upto 3 additional ones you can activate based on need. In this article I will go over how to use these and how to activate more and how to create calendars with them. Do I need more categories? I get lot of people confused as to how many categories they need. Lets say you want to categorize events by “Genre” you don’t need 100 categories, one for each genre. 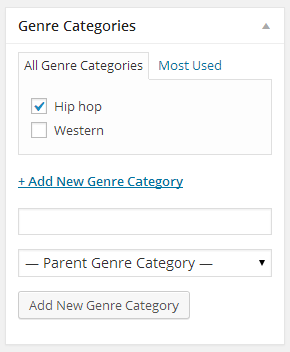 All you need is 1 category called “Genre” and in there you can create category tags for each genre and assign to events. How to activate additional categories? Go to myEventON > Settings > Categories you will find that in here you can activate upto 3 additional categories for events. Make sure you activate them in order. Click Save Changes for this to take effect and refresh page. Now if you go to each event you will see that you can assign category tags to this new category on right side menu of the event edit page. How to create shortcode calendars to show only those category events? 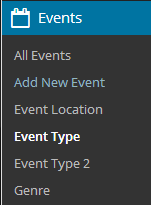 Most of the eventON calendar types support event type only filtering. 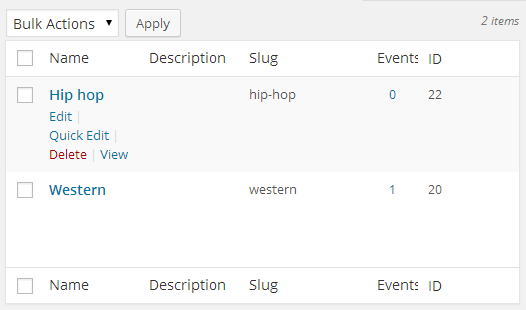 So in order to do this you will need the tag ID of the event type category and the category slug name. Tag ID: To find the tag id for category tag go to Events > and then the category you want to find the tag ID for. In here you will see all the possible tags you have created so far in a list where you can find the ID. Hope this clarifies your doubts and concerns about event type categories. If you have any other questions please ask me on our chat.